Realms of Inquiry, a cooperative learning community that offers an accredited curriculum for grades 7 through 12, is dedicated to providing a supportive learning environment for bright and intellectually creative students. Working closely with faculty, each student designs a program tailored to his or her particular interests and learning style. Our purpose is to provide a challenging, individualized, real-world education for students who may have nontraditional learning styles, who want to learn at their own rate, and develop their natural individual talents and interests. We have a firm belief at Realms that every student has his or her own talents and strengths, and that while some of these talents are easily identified in an academic environment, others are not. Realms students have ample opportunities to connect with their classmates across all of the grades at Realms. Children often arrive at Realms having endured social and emotional struggles and find that their Realms peers are very accepting. Realms of Inquiry is an independent, cooperative school for bright, creative, and independent thinking students. At Realms, an environment is created that celebrates all that students bring with them—big thinking, curiosity, creativity, and playfulness. Our purpose is to identify students’ gifts and support and nourish them as they develop in positive ways. Recognizing the importance of the whole person, Realms supports students’ cognitive, physical, emotional and spiritual growth. We seek to challenge and excite students in a wide variety of intellectual pursuits. We nurture uniqueness and individuality while also encouraging ethical behavior. We have found that when students are trained to assume responsibility for, and are given control over their own learning, several things happen: they become progressively more committed to education, they internalize motivation, and they frequently surprise themselves with how satisfying learning can be. In all it does, Realms strives to create an environment that supports the intellectual, moral, creative, physical, spiritual and emotional growth of each student. 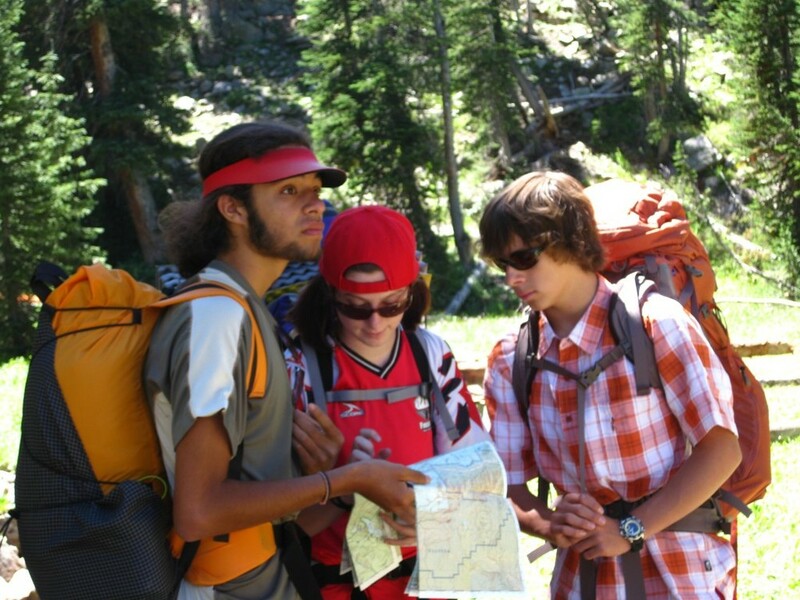 A Realms student develops confidence through drama, language, music and art programs, and through a unique Outdoor Program that exposes students to a wide variety of skills and activities including backpacking, mountain biking, rock climbing, and wilderness skills. These activities are experienced fully by both the Middle and Upper Schools. Our curriculum is based on the Utah State Core Curriculum and includes all core subjects as well as a foreign language. Realms also offers the flexibility to work with a teacher-mentor in areas of a student’s interests. We have a firm belief at Realms that every student has his/her own talents and strengths; and that while some of these talents are easily identified in an academic environment, others are not. be respectful and trusting of self and others. be full of life - enthusiastic and excited. Sir Ken Robinson said in his February 2006 TED talk: "As children grow up we start to educate them progressively from the waist up, and then we focus on their heads and slightly to one side." He made a case that the same emphasis should be given to the development of physical and creative talents as to intellectual talent. Even the Romans knew that a healthy mind lives in a healthy body and in the same tradition Realms has held fast to its spectacular outdoor program over the years to challenge our students physically and push them to accomplish things that they never thought possible with the result that they gain great confidence. 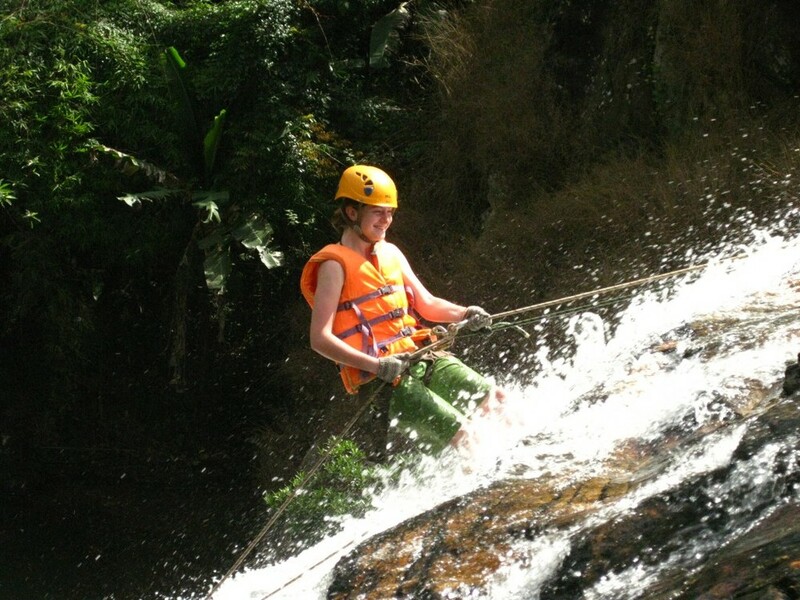 The activities include climbing, biking, hiking, river rafting and international exploration. It is also clear that a person who has practical experience in a number of subjects besides intellectual knowledge has a great advantage. Realms has embedded an internship program in its academic studies in 2011 to encourage upper school students to try their knowledge and theories in the real world. This combination will help students to come up with original knowledge and inventions that culminate in published and patented work. Picasso once said that all children are born artists, the problem is to remain an artist as we grow up. Realms Drama, Art, and Music courses encourage students to rediscover their creativity and to continue to foster it throughout their school career. Realms is currently accepting applications for the 2019-20 academic year. Contact the admissions office for more information at 801-467-5911 or Email Admissions. Realms has a program for middle school, grades 7 through 8, and upper school, grades 9 through 12. We may accept 6th grade students that show maturity and ability to take responsibility. What makes Realms different from other schools? Because of the small size of the school, our small class sizes, and many shared experiences, people at Realms know each other. Students of different ages interact with each other, and there are several all-school events throughout the school year. Students tend to be accepting of one another because their interactions go beyond the superficial level that is frequently the norm in large classes and schools. Parents are involved in classes, often teaching or assisting with trips. These programs are unique and essential to the Realms experience. The Outdoor and International Programs are a place for students to have fun, to safely take risks and challenge themselves. The Outdoor Program engages students in their school experience, and connects them in a deeper way to the world and the people around them. It is commonly recognized that bright students don’t need a lot of repetition to learn, yet there is more to a gifted academic program than “acceleration,” or moving students through information rapidly. We believe that bright students need opportunities to explore their own interests within a subject and to develop the skills that will make them autonomous learners (thinking and communication skills, research, and creating end products). We recognize the importance of strong academic programs, but also believe that rich opportunities in the arts and early exposure to foreign language are essential. Our classrooms are important forums for learning social and communication skills, and students of all ages are participants in this process. It is common for bright students to have highly developed skill areas as well as less developed skill areas; at Realms, students are recognized for their strengths, helped to work on their weaknesses, and accepted for who they are. Is Realms a school for kids with behavior problems? It is not our purpose to be a school for “problem kids,” and our teachers have no special training for working with behavioral or emotional issues or learning disabilities. One of our guiding principles is “Students have the right to learn and teachers have the right to teach.” Behavior that impacts other students’ ability to learn or a teacher's ability to teach is not accepted. We are a school that works on the fundamental premise that the students are here because they want to be here. That said, we also know that behavior problems can be a logical response for many bright young people who find themselves in an educational situation that fails to meet their needs. Some students who have had behavioral problems in another school setting are able to function well at Realms because they are engaged, challenged, accepted, or simply no longer bored. We also know that it is common for some very bright students to have exceptional intellectual development and below-age social or emotional development. We believe that our small class sizes, close relationships with teachers, an emphasis on respect and acceptance, and plentiful opportunities in the outdoor program, as well as active classrooms for meaningful interaction with others, provide the ideal environment for these bright students to develop socially and emotionally. What are the class sizes at Realms? Classes are limited to 14 students per each full-time teacher. What does the outdoor program involve? In the Middle School, students take field trips as often as once a week. The activities on field trips might be outdoor activities (hiking, climbing, an outdoor science activity) or a non-outdoor activity related to an area of study in the class. 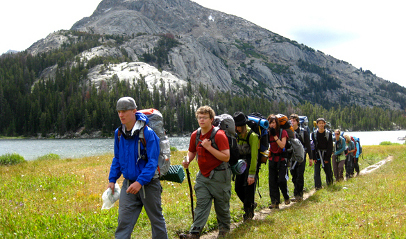 Middle School students also take a 6-8 day backpacking trip in the fall as well as a 2 week trip, usually to another country. The Upper School students participate in a 10-day backpacking trip, a 3 week international in the spring, usually to another country, and 2-3 shorter trips during the year, as well. 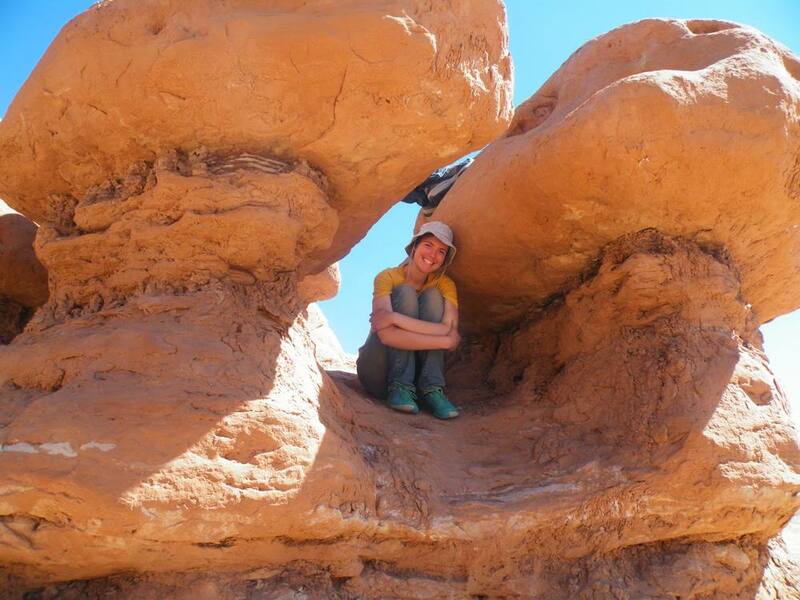 The activities in the Outdoor Program can include hiking, rock climbing, caving, boating, biking, and more. Outdoor experiences are designed to build particular social, emotional, and academic skills, which make the program meaningful to students individually as well as enhancing their entire educational experience. Does everyone participate in the outdoor program? Yes! Occasionally students need to focus on other aspects of their education and exceptions are sometimes made on a case-by-case basis. What do Realms students do after graduating? More than 90% of Realms graduates go to college. Many Realms graduates go on to travel extensively on their own or with other groups. Many Realms graduates have chosen to enter service-oriented professions. Some fields well represented by Realms graduates are the arts, teaching, sciences, law, and technology. But Realms graduates are, above all, unique individuals, and it is not possible to describe them well with generalizations. We hope that a Realms education will help any student make his own dreams real, whatever they may be. Is Realms an accredited school? Yes, Realms is accredited through AdvancEd. Maintaining accreditation involves written assessments and periodic on site evaluations. Realms had an on site visit during the 2015-16 school year and received a very positive report. How Much Does Realms Cost? Please contact us for more information at frontdesk@realmsofinquiry.org.